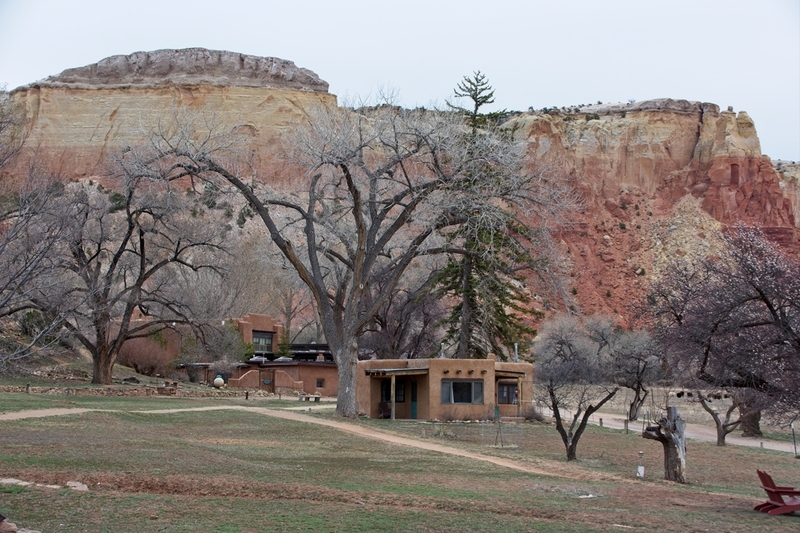 Among the many natural treats in the Abiquiu area is the Ghost Ranch Education and Retreat Center. 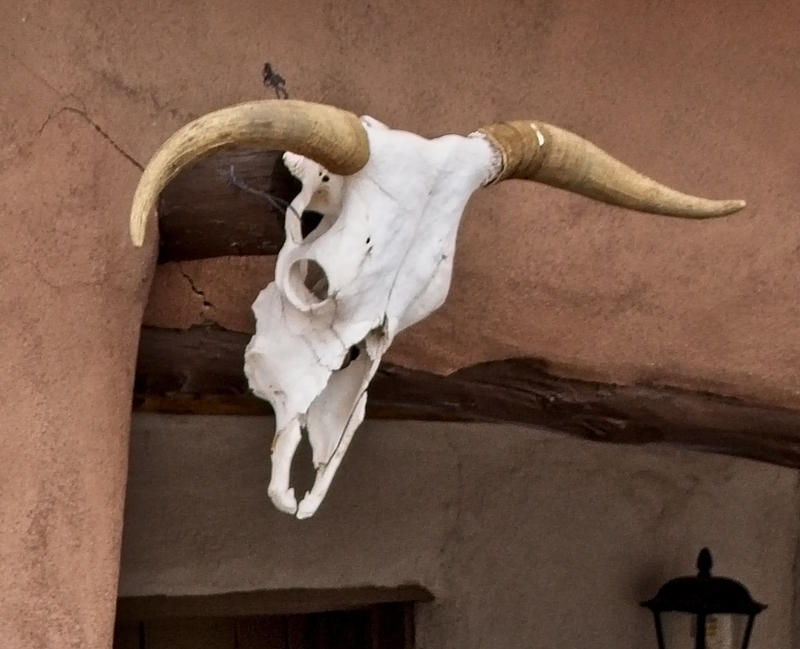 Situated on a small portion of the 21,000+ acres of awe-inspiring mesas and Northern New Mexico landscapes that make up Ghost Ranch, the main compound area is a delight of scattered and varied adobe structures, some dating back to the beginnings of Ghost Ranch. 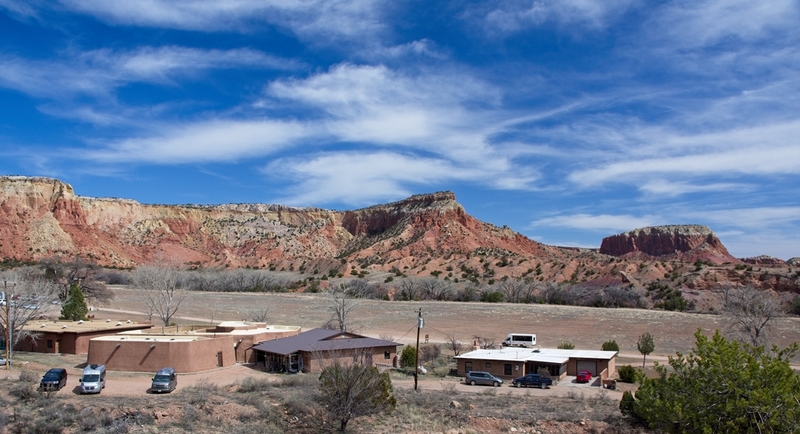 Artist Georgia O’Keefe spent much of her time in the area at the Ghost Ranch acreage which inspired some of her work. Roy Pfaffle won the property in a 1928 poker game, and his wife Carol Stanley set up Ghost Ranch as a dude ranch after her divorce from Pfaffle. She then sold it to Arthur Pack in 1935, to whom we owe a debt of gratitude for having the foresight to protect Ghost Ranch for future generations by donating it to the Presbyterian Church in 1955. The church still owns and manages the education and learning center, and continues to protect and preserve the ranch’s vast acreage. 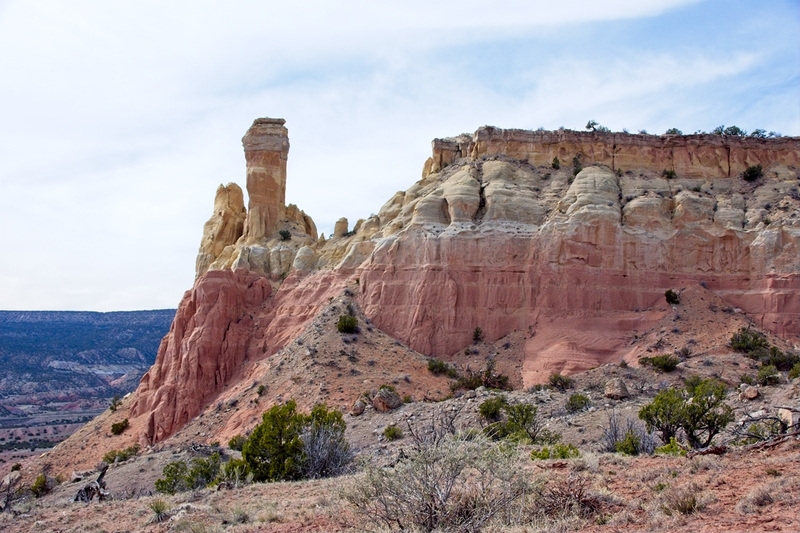 You can read more about Ghost Ranch’s diverse and deep history here and here. As for me, just being around these vibrantly colored mesas, big sky views of distant mountains, including O’Keefe’s beloved Pedernal, combine with the varied adobe structures and working ranch atmosphere to offer an amazing escape from the modern world. 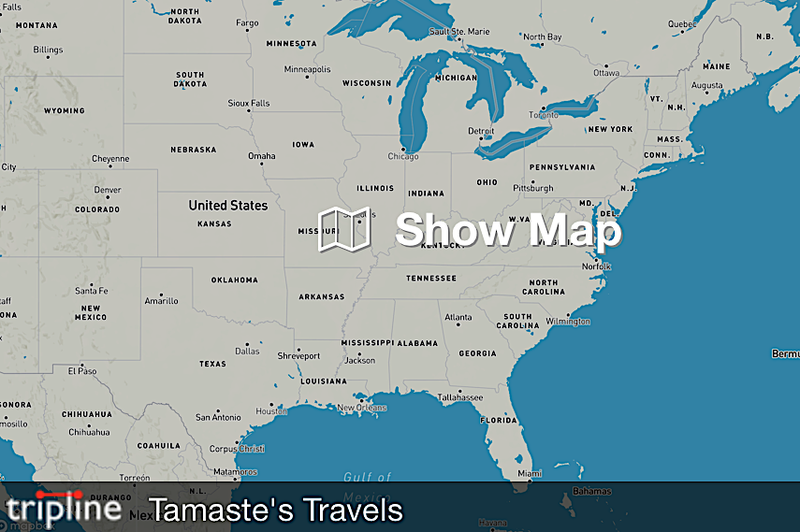 I stayed in the RV campground here one night, but have come back for multiple day visits to explore the exhibits, eat in the dining hall, and take a five-mile breathtaking 600′ elevation-change hike up to Chimney Rock. This place, as well as Abiquiu itself, feels like somewhere I’d like to stay for a long time. 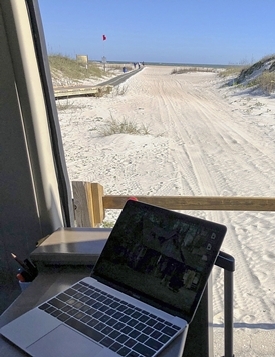 As of this writing, I’ve lingered in this area for 20 days, the longest stay in one natural place so far on my nomadic journey. It’s hard to explain to those who haven’t been here, and even harder to those who have but don’t get it, that these landscapes and histories have an energy, draw, and intense raw connection to nature making one wish they could stay and enjoy a slower, uncrowded journey through the varied days of every season. It is definitely a magical place. I spent most of the week there 10 years ago at an art workshop and it was just inspirational to look out any window or when outside, turn in any direction. I can totally understand why you’ve spent most of three weeks there.